Bright Starts Clack & Slide Activity Ball Toy Just $6.88! Down From $19.45! You are here: Home / Great Deals / Bright Starts Clack & Slide Activity Ball Toy Just $6.88! Down From $19.45! Right now you can get this Bright Starts Clack & Slide Activity Ball Toy for just $6.88 (Reg. $19.45) at Walmart! 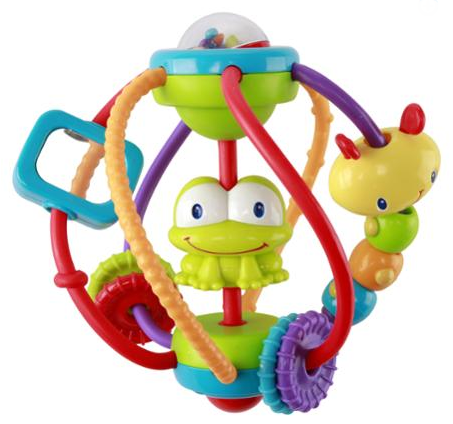 The Bright Starts Clack & Slide Activity Ball will keep baby entertained with loads of fun and sounds! Fun activities include bead chaser, rattle ball, and mirror to delight baby’s senses. Fun comes first!